You can specify which mode you want ASP.NET session state to use by assigning a SessionStateMode enumeration values to the mode attribute of the sessionState element in your application’s Web.config file. Modes other than InProc and Off require additional parameters, such as connection-string values as discussed later in this topic. You can view the currently selected session state by accessing the value of the HttpSessionState.Mode property. Why You Should Change Session Out-of-Process with StateServer? Let’s start from the top. The SessionState is a collection of data that is persisted across multiple web requests to ASP.NET. This can be authentication information, a shopping cart, a theme, or whatnot – essentially any information that you want the server to remember for the next time the user “does something” on your site. This can also be accomplished on the page level with ViewState, but that sends more data back and forth between the client and your server. If you’re using the cookie method of “tagging” your SessionState (which you should, because cookieless is vulnerable to session hijacking), you’ll have a tiny little harmless cookie called ASP.NET_SessionId which contains a unique session ID that looks something like “okeiohntcofecw55svocxwiz”. This ID is sent to the web server to let the server know which session to retrieve. If the SessionState is running InProc, all ASP.NET has to do is look at the memory it has of that session information and retrieve or set the values required. However, if that process gets reset (due to an IIS reset, power outage, reboot, failed process, etc) then it no longer has a record of that session information, so that SessionId is no longer valid and the user is “kicked off”. Additionally, if you increase the number of worker processes per application pool, thinking you’ll be getting better performance on a multiprocessor server, you’ll find that the users continually get kicked off, because each process doesn’t know about the session state of the other so they continually reset the session on each other. This is the same problem you’ll encounter if you try to move to two load-balanced web servers. 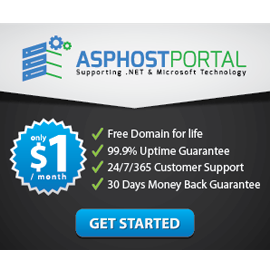 Included with .NET is a Windows service called the ASP.NET State Service. This is disabled by default, so if you’re reading this far you may not know about it. This service runs as an additional process so that if the IIS worker process gets reset, the state service is still running with all the session information. Another solution supported natively by ASP.NET is to use SQL Server to persist state information to disk. This way, even the server handling your state can be rebooted without losing session. This may be the preferred way of doing things for very high-end operations or situations where you need to maintain that information for security or contractual purposes. To enable the ASP.NET State Service, all you have to do is configure the service on both your development and production machines. Click Start / Run or type Win + R.
Type in services.msc and press Enter or click OK. Locate the ASP.NET State Service in the Services (local) list. Change the Startup Type to Automatic so that it starts on boot. Click the Start button to get it started now. Now, if you pull up Task Manager, you’ll notice a nice little aspnet_state.exe process running in addition to the IIS worker process (w3wp.exe). This process is the new StateServer that will maintain all your state data. But in order to use it, we must enable your ASP.NET web site to use the out-of-process StateServer. For the site that you’d like to have use the out-of-process StateServer, first open your web.config file for that site. Note the cookieless=”UseCookies” and mode=”StateServer” attributes. These are required to use the StateServer in a cookie’d fashion. The timeout attribute is the time, in minutes, that you want the session to remain valid. Also note that this example above is for the StateServer running on the same machine as IIS. With no connection string specified, it looks for a StateServer running on the local machine. If you need to move the StateServer onto another machine, you must match up your MachineKeys and set a StateServer connection string for IIS to connect to. Google is your friend. Now, your site should be using the StateServer for all of its session data. You may (or may not, but it might be a good idea) need to restart IIS for this to be optimally configured. The only caveat in this post, and it’s a big one, is that you will receive an error if you try to store non-Serializable data into the session now that you have an out-of-process state (i.e. a System.Data.DataView). Serializable classes are those that have the Serializable attribute set and are optimized for serialization (i.e. a System.Data.DataTable). You will need to review and test your code (or write new code accordingly) to make sure that you are not storing non-Serializable data to your session when using out-of-process state. If you are using custom classes to store session data, review them for serializable members and properties, and then mark them as serializable.